It's so uncomfortable to work with files protected with a password! 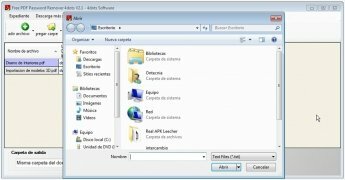 To decrypt PDF files and be able to handle them without complications you can now make use of Free PDF Password Remover. 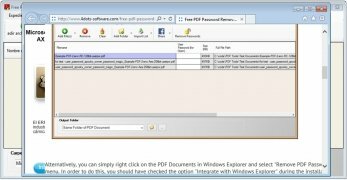 Free PDF Password Remover doesn't encrypt or find out the key to PDF files with a password, however, it's very useful when you have several documents encrypted with the same password, as you can unlock them all automatically. 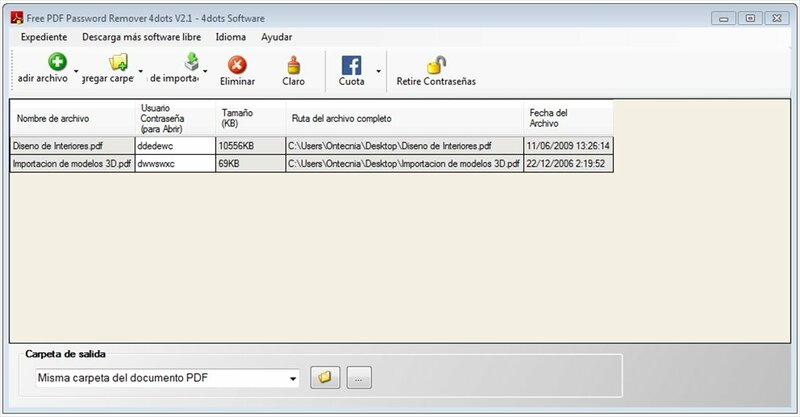 Possibility to specify a password for each encrypted PDF or insert a unique decryption key for several documents. 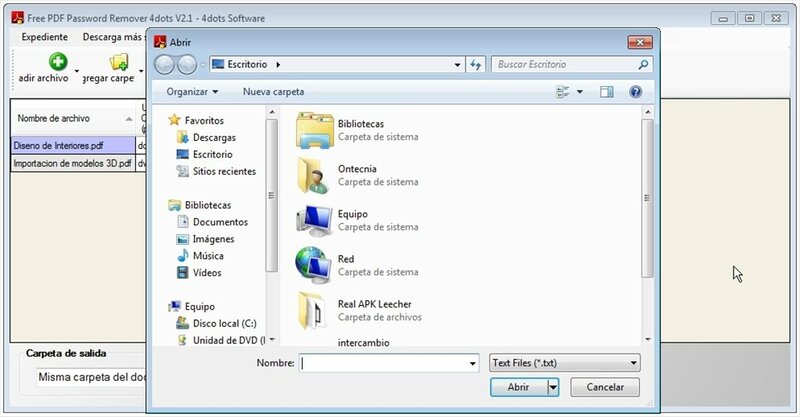 Also works from Windows File Explorer. You only have to open the context menu with a right click. 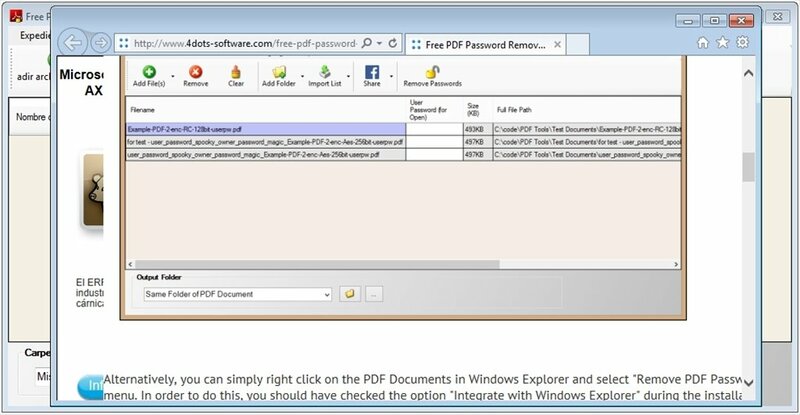 Download Free PDF Password Remover if you have encrypted documents. It's a simple tool that will make your work much easier. 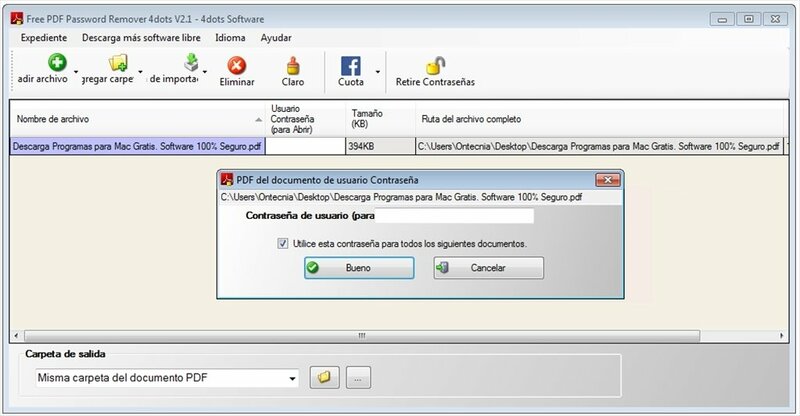 You need to know the password to decrypt a PDF.